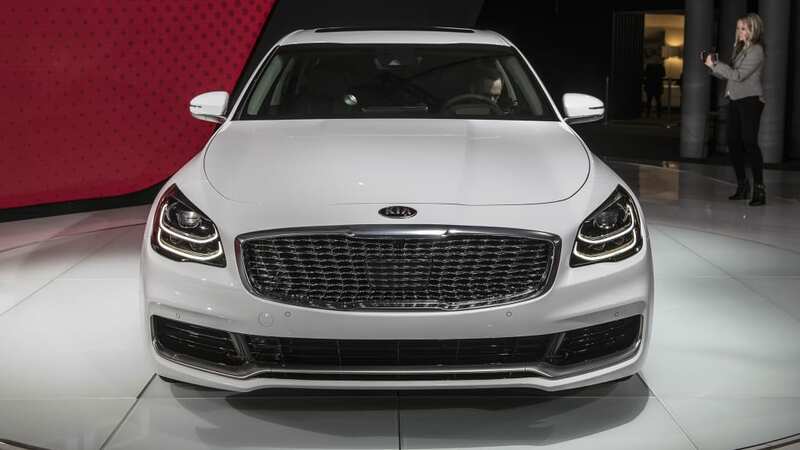 After those teasers and brochure shots, the 2019 Kia K900 flagship sedan is here in the metal, presented at the New York Auto Show. 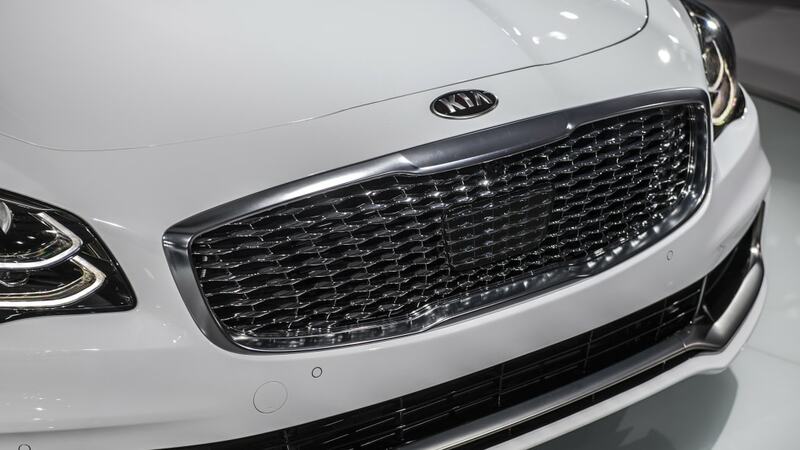 Kia reminds us that the only thing carried over from the old car is the name, but the car's design is still reserved rather than ostentatious. 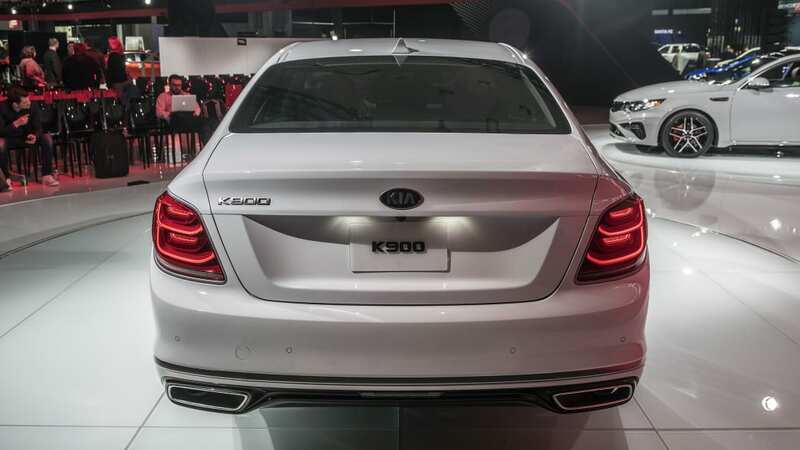 The information withheld in Kia's K900 news to date was the available powertrain, but it's now announced to have the same 3.3-liter twin turbo V6 as the Stinger. 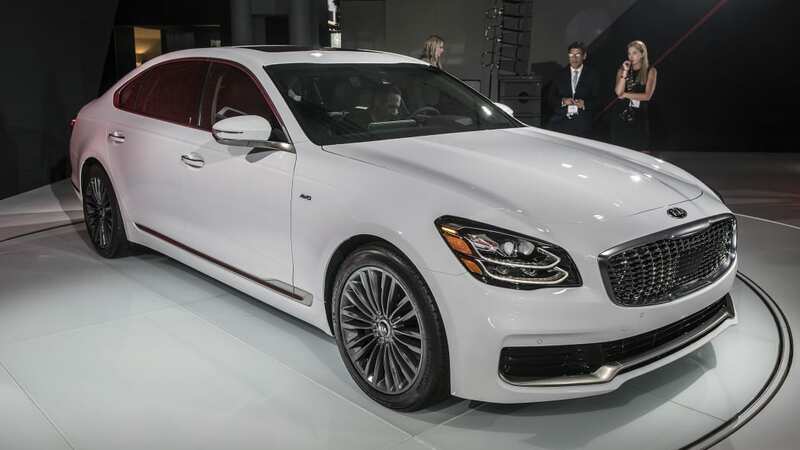 It produces 365 horsepower and 376 pound-feet of torque, and it's paired to an eight-speed, homegrown automatic transmission like in the Stinger. 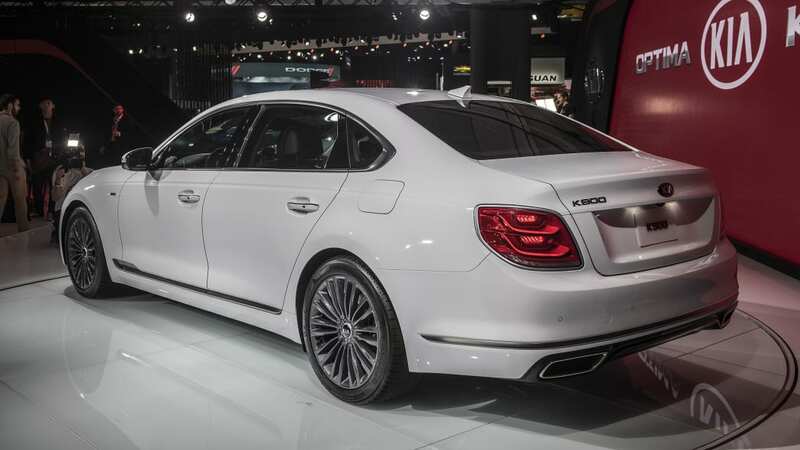 The V6 is the sole engine choice, and likewise the K900 has torque-vectoring all-wheel-drive as standard. 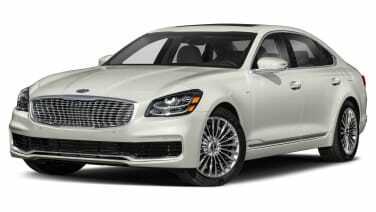 The previous generation car was rear-drive, and the Stinger has rear-drive variants, but for the new K900 it's AWD all the way. 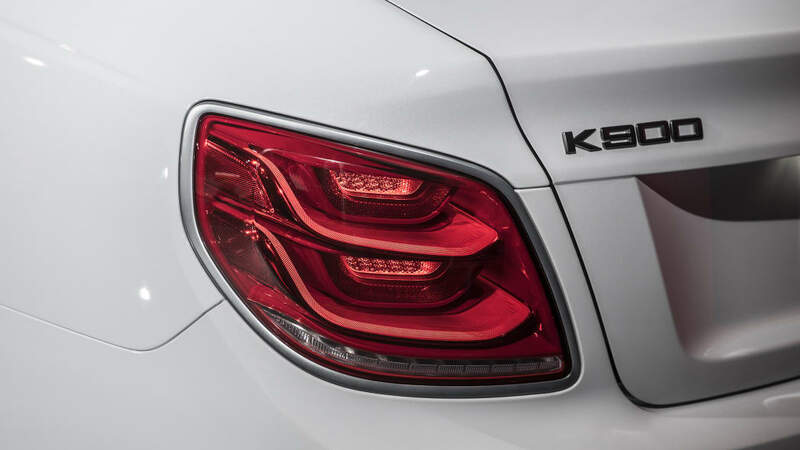 The system can distribute up to 50 percent of power to the front and as much as 80 percent to the rear. 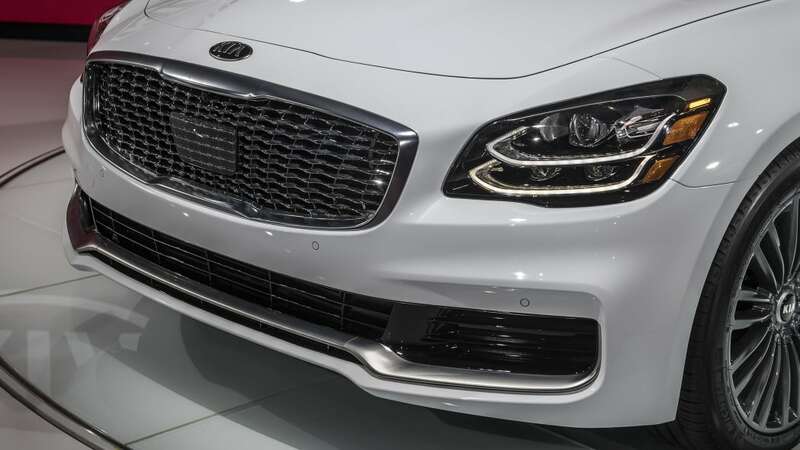 Kia performance chief Albert Biermann says the new K900 is 33 percent stiffer than the outgoing car, for improved ride and handling. 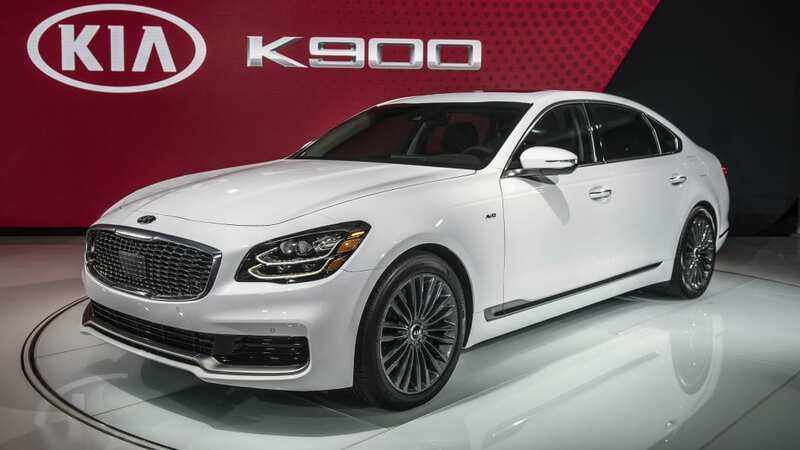 In its home market, the K900 will reportedly be available with a five-liter V8, but that's not part of the U.S. portfolio. 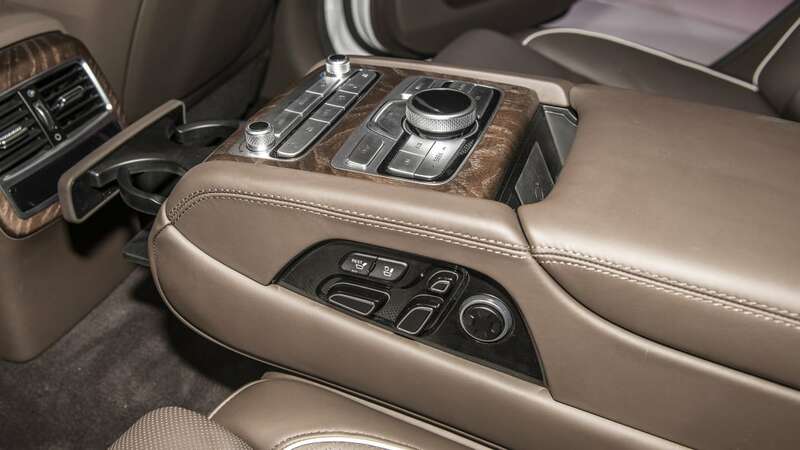 Inside, the K900's cocoon-like leather and wood interior ambience can be enhanced with its Pantone-assisted mood lighting system. There are seven color settings, which are meant to convey the feel of oceans, forests, skies — and presets can even imitate the aurora borealis. 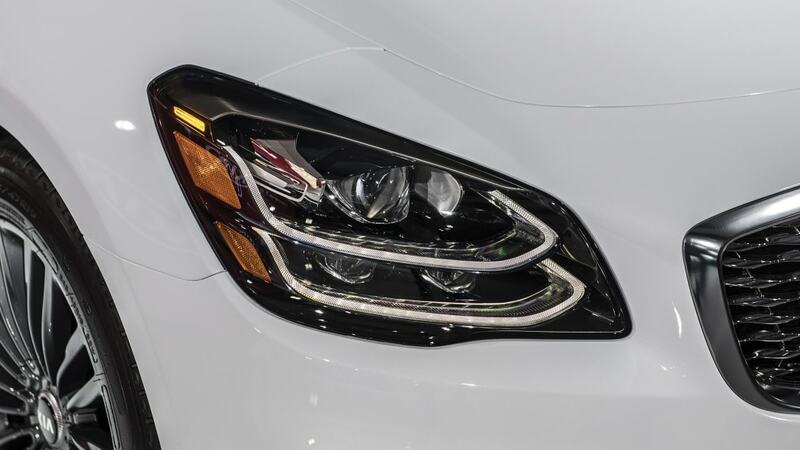 Another feature of the interior lighting is that proximity sensors can brighten the dashboard controls by 20 percent when the driver reaches for the switches. The 12.3-inch HMI touchscreen supports Apple CarPlay and Android Auto, and the car's settings can be toggled using a bespoke UVO telematics system. 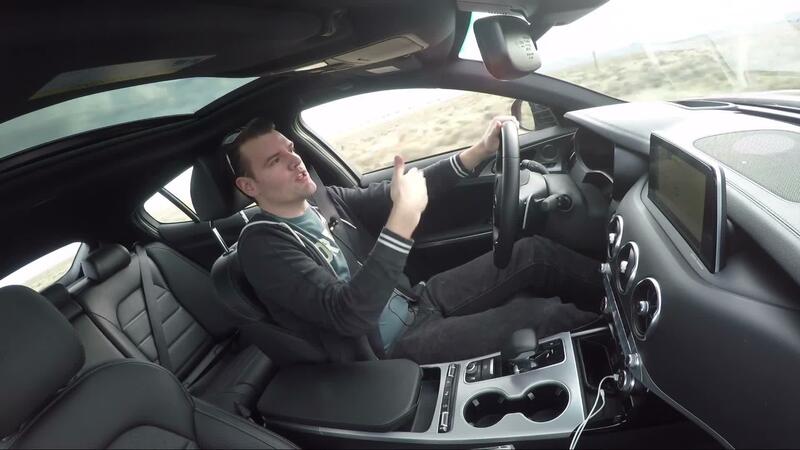 Four cameras provide the driver with a stitched-together 360-degree view of the car's surroundings, and HUD is an option. 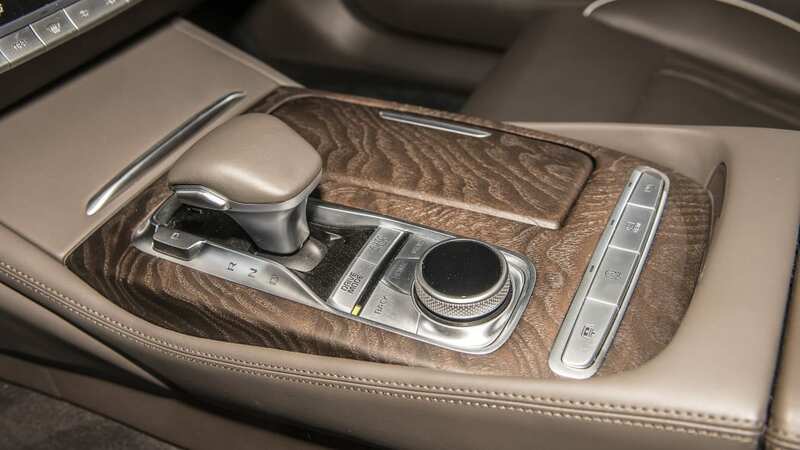 Driver assists include smart cruise control with lane functions and a driver fatigue monitoring system. 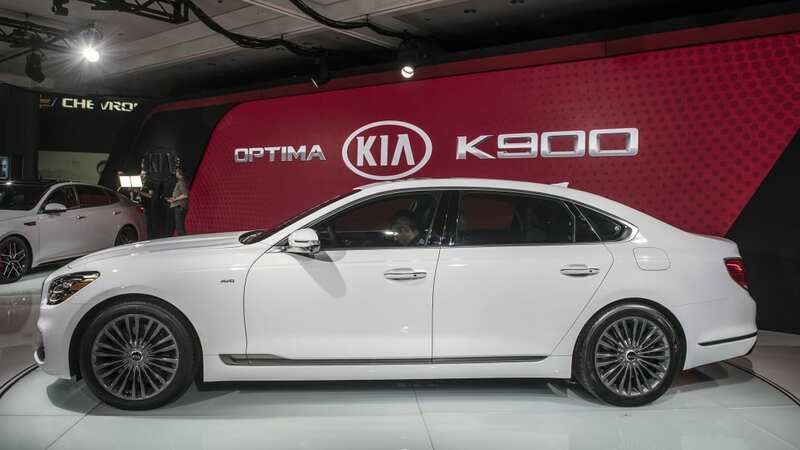 In addition to the K900, Kia is also introducing the refreshed-for-2019 Optima and Sedona. 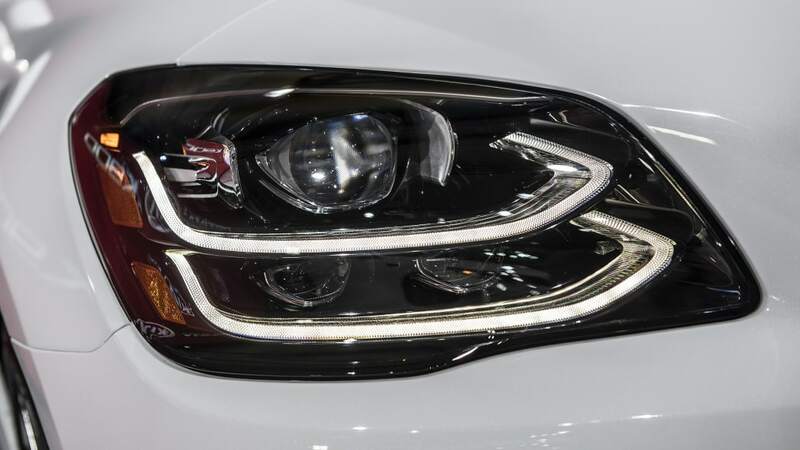 The facelifted Optima now comes with optional two-tone sport leather seats, and it shares some of the K900's driver assist systems as standard: collision avoidance and warning, lane keeping assist and driver fatigue monitoring. 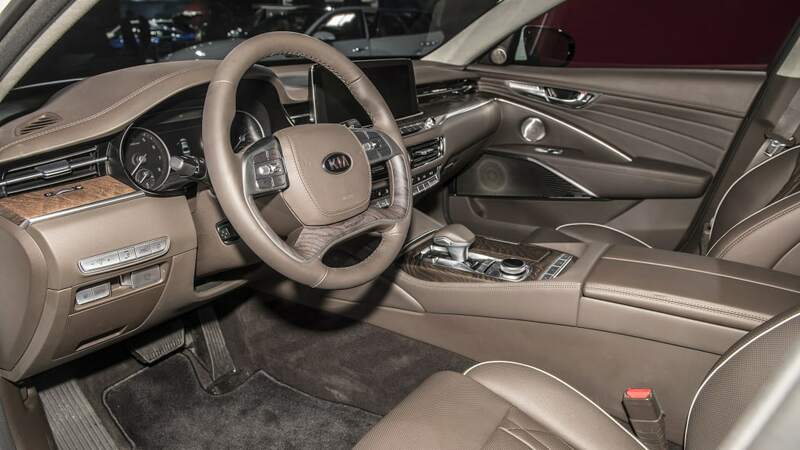 The UVO telematics system is available for the Optima in three tiers, and as standard it supports Apple CarPlay and Android Auto, with the higher tiers introducing diagnostics and remote functions. 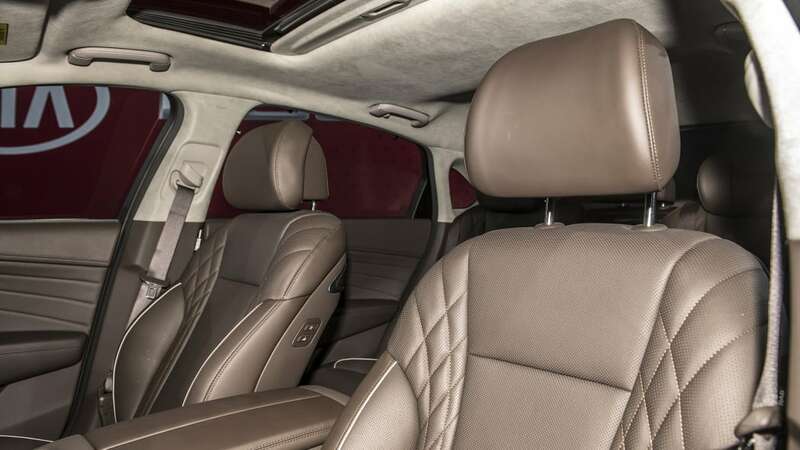 The Sedona update gives the minivan the eight-speed automatic as well as a facelift inside and out, with the dashboard redesigned and the renewed rear seat entertainment system now featuring dual screens instead of a shared one. 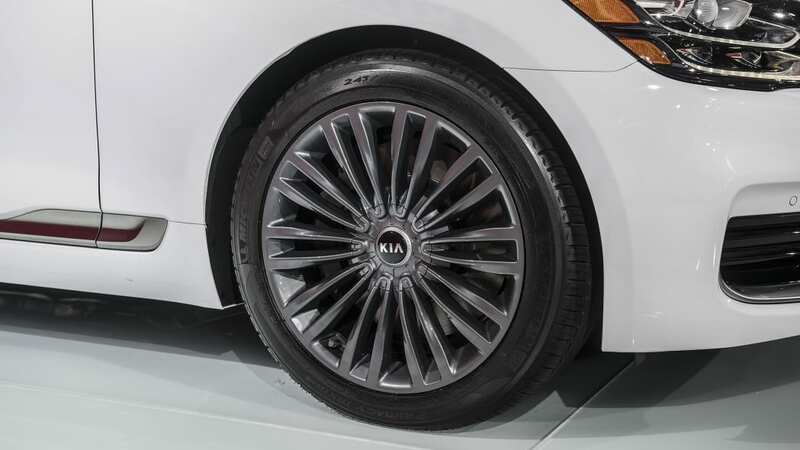 The Sedona's driver assists also now include the fatigue warning system, suggesting a tired driver should stop and get a cup of coffee. A previous Infinity sound system has been replaced with an available Harman Kardon premium setup.